BOOM! Studios has announced its next oversized WWE special coinciding with one of the WWE’s big four PPV events. The WrestleMania 2018 Special features John Cena, The Miz, and Jeff Hardy, as well what BOOM! 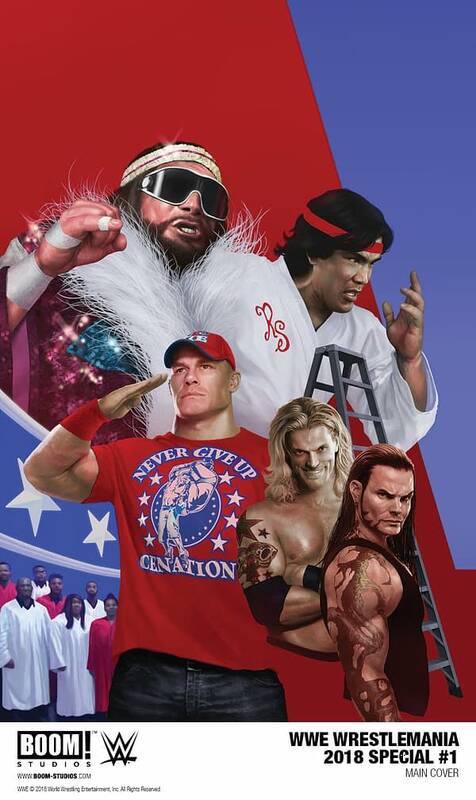 claims is “the untold story of the legendary WrestleMania III match between “Macho Man” Randy Savage and Ricky “The Dragon” Steamboat.” The creators involved in the special include Ryan Ferrier, Tini Howard, Lan Pitts, Julian May, Kendall Goode, and Rodrigo Lorenzo. 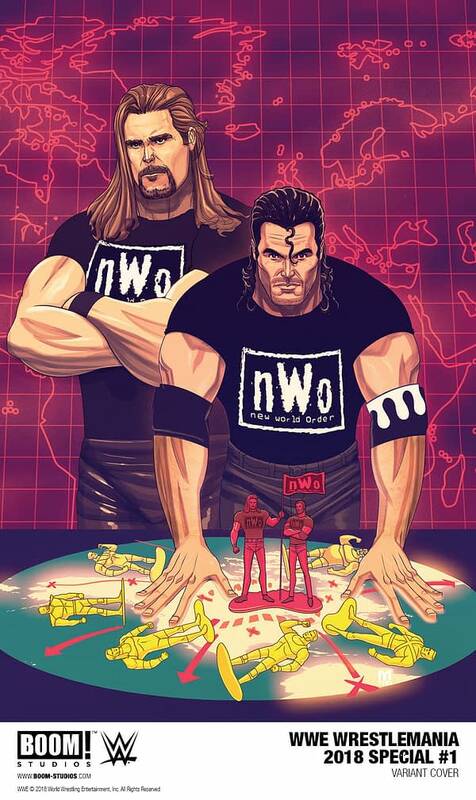 The book features a main cover by Rahzzah and an NWO variant cover by Marco D’Alfonso. Look for it in stores in April, around the time Roman Reigns beats Brock Lesnar for the Universal Championship.